How long do you keep a job? So, how long do you keep a job? Let’s analyze this from two perspectives: the employee and the employer. As an employee, it’s typical for an employee to take a little while to get used to their job (3 years to be exact, but we’ll talk about that a little later!). When you first get hired, you may notice that the first 6 months or so of your job are really unproductive. You are trying to grasp the systems, organization of the company and so much more. It’s difficult to jump into a job at 100% efficiency. But as an employee, it’s reasonable to expect for you to work in multiple companies throughout your career. It’s even expected for someone to have multiple careers throughout their lifetime. But how long is an appropriate time for you to stay at one job? First, it’s important for you to realize how expensive you are as an employee. Through searching, hiring, training, mentoring, and investing time and money into you, a company expects that its investments will return a profit. Simply put, you should stick around as long as you are providing more value than they’ve invested in you. The company that has hired you has essentially invested in you. They are looking for their return on investment (ROI). Of course, they are going to have bad investments (i.e. anyone who leaves before 3 years) and really good investments (i.e. anyone who stays with the company 3+ years). As an employer, you’ve probably realized that there is one thing that you can’t avoid: humans. You buy from them. You sell to them. You work for them. And you hire them. Humans are an integral part of business and life. Nowadays, using only resumes to screen candidates for jobs is a thing of the past. LinkedIn, although it may not be the best platform, has become the Facebook for resumes. Have you ever searched for employees through LinkedIn? There’s always that person who first looks like a great candidate. They’ve worked in prestigious positions in reputable companies, BUT then you find your eyes focusing on the time spent working there. 3-, 5-, 9-, 15-months… It’s safe to assume that there is something wrong! Whether it is the employer just not liking the employee or the employee being extremely fickle, it’s easy to assume that if someone has a work history like that, you should run in the opposite direction. That’s not to say that you should automatically run the other way if a candidate lists 4-6 jobs for only a couple months. Analyze their age, stage in life (recent college graduate? ), and type of position. Particularly with internships, the average time spent in those positions are 3-4 months. Be aware of what their LinkedIn profile looks like. It could be your biggest indicator of likelihood of that candidate lasting at least 3 years at your organization. Let’s digest what we’re calling the 3-year breakdown! The employer will lose money on an employee during the first 6 months of their job. The employee is training for the position, getting used to the culture and way of doing things, and trying to provide some value. It is acceptable to assume that you will lose money during those first 6 months of an employee’s job. During the second half of the first year, the employer can expect to break even. Hopefully by this point, your employee should be feeling comfortable and is actually helping the company rather than costing you money. If you’re still losing money through the 3rd and 4th quarter because of a new employee, it’s probably okay. Every employee and every organization is different. Thankfully, you won’t be losing money into Year 2 after the hire of a new employee. By now, the employee should be earning the company revenue to cover his/her salary plus some for the company to reinvest. Most employees, however, continue to flirt with breakeven. By year 3, your employee should be excelling in the company. At this point, we come to a critical decision point: the employee leaves (by their choice our yours) or the employee continues on with the company. It’s important to get to at least year 3 to ensure that you’ve gotten value out of your hire – watch that your revenue increases with the hire. All things being equal, you should expect to see higher profits due to good hires. If you haven’t, then you’re employee either left early or you made a bad hire. How do I hire a star-quality team? It shouldn’t take you til the end of Year 3 to determine whether or not you made a good hire. Do a better job during the hiring process to know who and what you’ve hired. It all starts with who you are attracting to your company. Try to attract star-quality candidates. Describe the type of team that you would deem star-quality in regards to your organization. Hold fast to those bullet points that you’ve created as a type of criteria when recruiting. Still having issues figuring out how to recruit star-quality candidates to build your team? 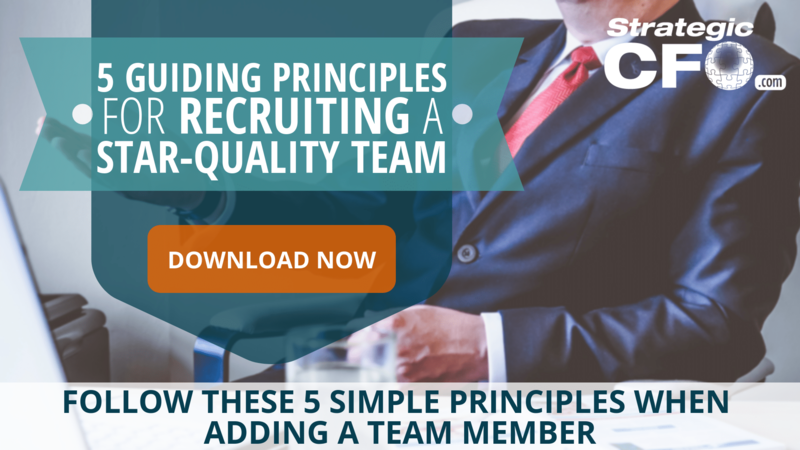 Download the free 5 guiding principles for recruiting a star-quality team. A bad hire could be catastrophic to your company. Hire star quality candidates today! 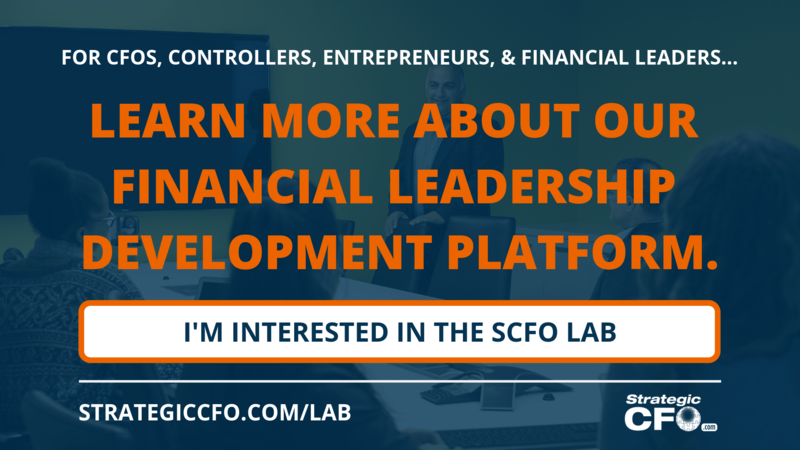 How Does a CFO Bring Value to a Company? One Response to How long do you keep a job? I have spent 20 years in one company. After four years of establishing the company we started making profits with a steady increase till I left the company. During my service as a senior executive I believed in loyalty, quality, employees come first , and long term thinking. I left because the owner stopped supporting our above strategy and wanted management deal with employees like machine on the ground that deliver or get fired as there are many candidates ready to take your position with less pay.